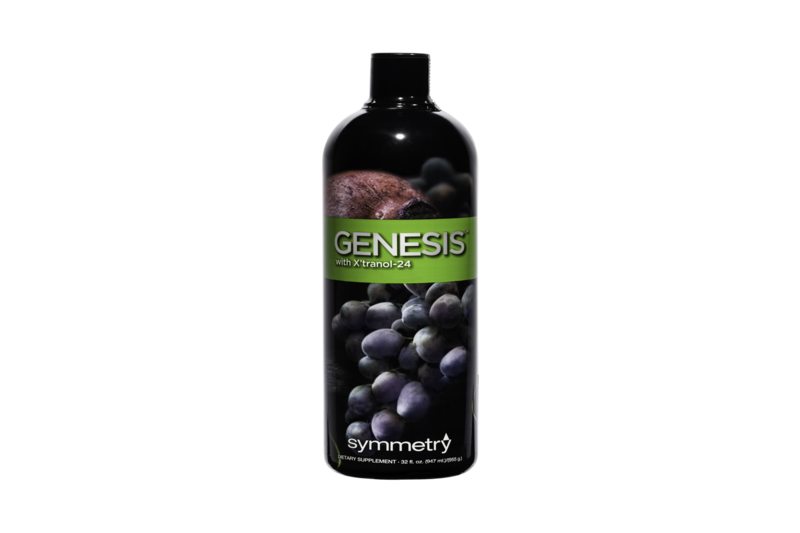 GenesisTM is a delicious melange of red grape and pomegranate in a mixture of apple and Aloe Vera juice infused with a proprietary blend of super foods, healing herbs, powerful antioxidants, phytonutrients, and much more. Genesis is more than a juice; it helps you feel young and healthy by slowing down the body's natural aging process and boosting your energy. GenesisTM contains the exclusive triple-patented X'tranol-24 that will impede the production of free radicals in the body for a full 24 hours. A single serving also provides the complete array of healthful nutrients in red wine (including resveratrol) that aid in lowering the risk of heart and cardiovascular disease and prolonging life. We infuse GenesisTM with the world's most potent herbs via a process much like brewing sun tea. The herbs are steeped in a juice blend without heat to delicately extract their botanical components and avoid subtle damages to their active ingredients. Genesis™ is truly a remarkable product. With its combination of fruit juices, it has powerful Anti-Aging and Wellness benefits. Try it once and you'll see what we mean. It's a great tasting drink... Use Genesis every day to feel better, look younger, and live longer. Good health never tasted so good! Genesis is a delicious combination of highly standardized fruit juices and whole fruit extracts, infused with a proprietary blend of herbs and other powerful foods. The renowned antioxidant properties of whole fruit pomegranate and whole fruit red grape combine with the healing and restorative nature of whole fruit apple, olive leaf and Aloe Vera for heavenly-tasting 100% juice product. 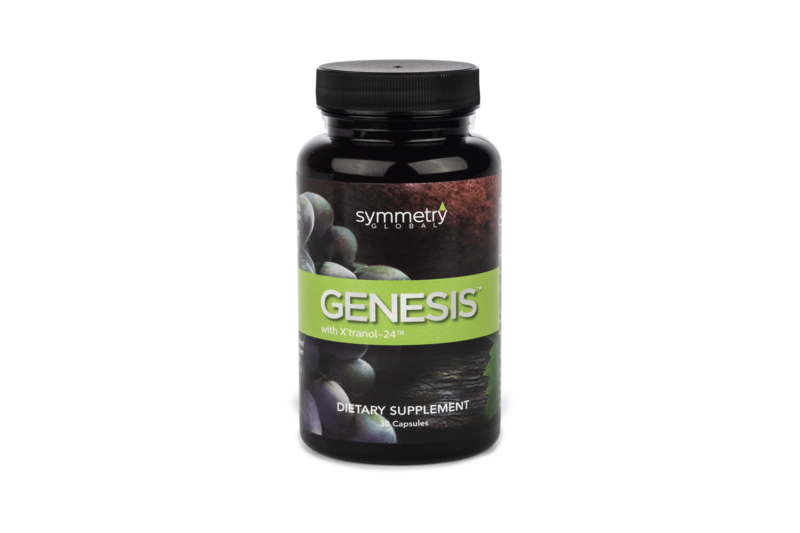 The powerful antioxidants and immune system boosters in Symmetry's Genesis support every system of the body. The result: Longer life, better health and stronger immunity. All products are manufactured to quality standards that are unequaled within the industry, and Symmetry Direct guarantees every product it sells. Try our outstanding products as a Retail Customer or with a membership and get discounts up to 40% on the products you enjoy by becoming a Preferred Customer.